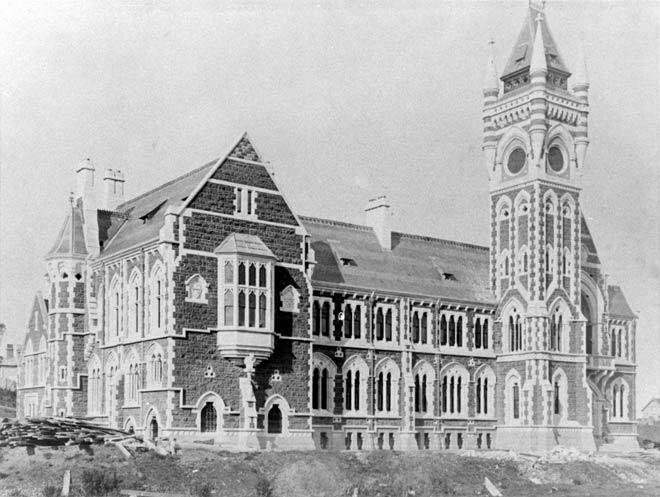 The University of Otago – New Zealand’s first university – was founded in 1869 and opened for teaching in 1871. The university was housed in a building in Dunedin’s Princes Street until 1878, when the purpose-built Clocktower building was completed. The Clocktower remained Otago’s most well-known building in the 2000s and was used in university publicity material.